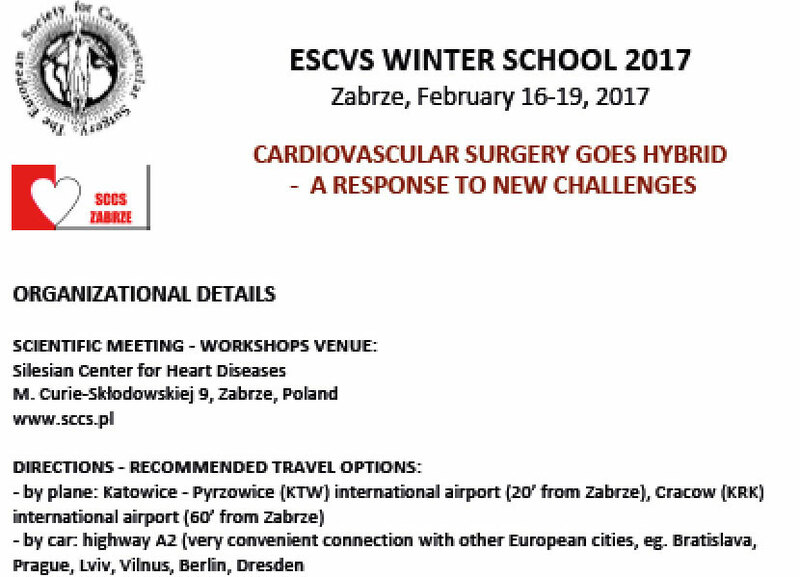 The European Society for Cardiovascular and Endovascular Surgery is dedicated in providing educational opportunities to residents and young cardiac and vascular surgeons. 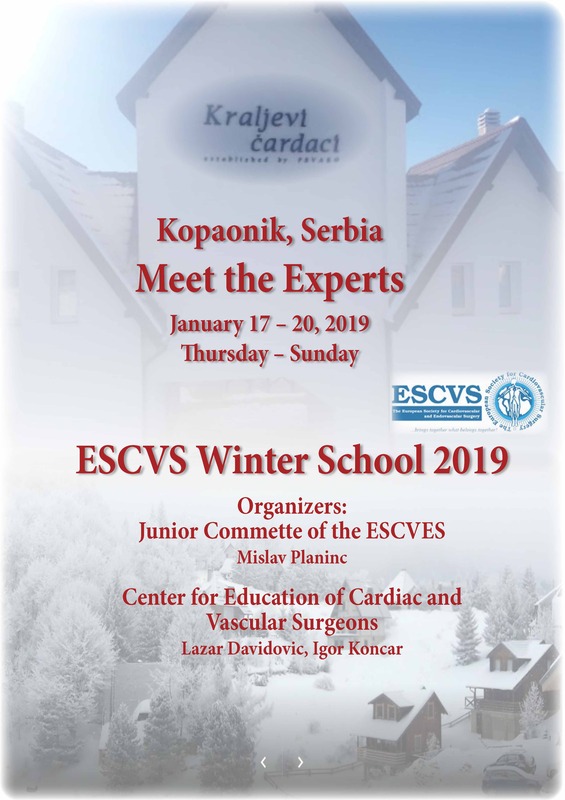 Next year’s ESCVS WINTER School entitled MEET THE EXPERTS will be held in Kopaonik, Serbia, January 17 - 20, 2019. 10 young surgeons (5 cardiac and 5 vascular) will be granted free accommodation and course fee. Travel expenses will not be covered by the organizers. Other interested participants will be able to apply and participants on the first come first served basis. Registration fee that includes participation at the course and two social dinners is 100E. Number of applicants is limited. Interested participants, younger than 35 years of age, are invited to apply at vaskularnahirurgija@gmail.com with their CV and ID copy (age proof). Granted candidates will be selected by members of EC of the ESCVS and informed via e-mail.